The Shure PG28 is a dynamic cardoid microphone designed to be rugged and durable for use in live performance applications. 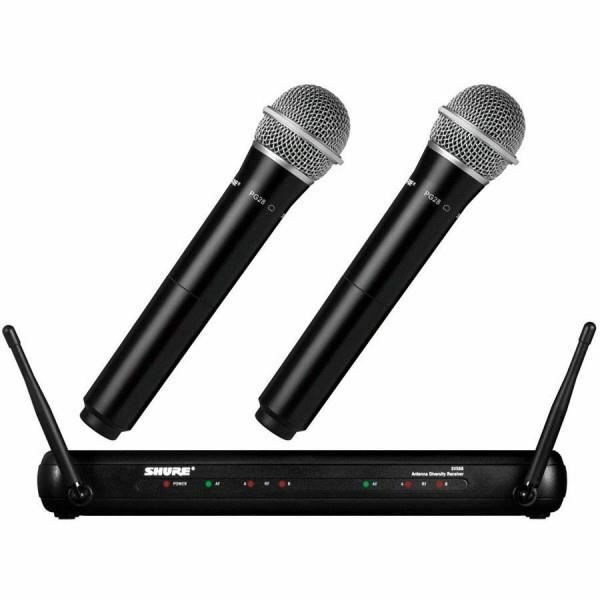 This system includes a SVX88 dual diversity receiver and two PG28 handheld microphone transmitters. Two SVX2 handheld transmitters with PG28 Microphones. 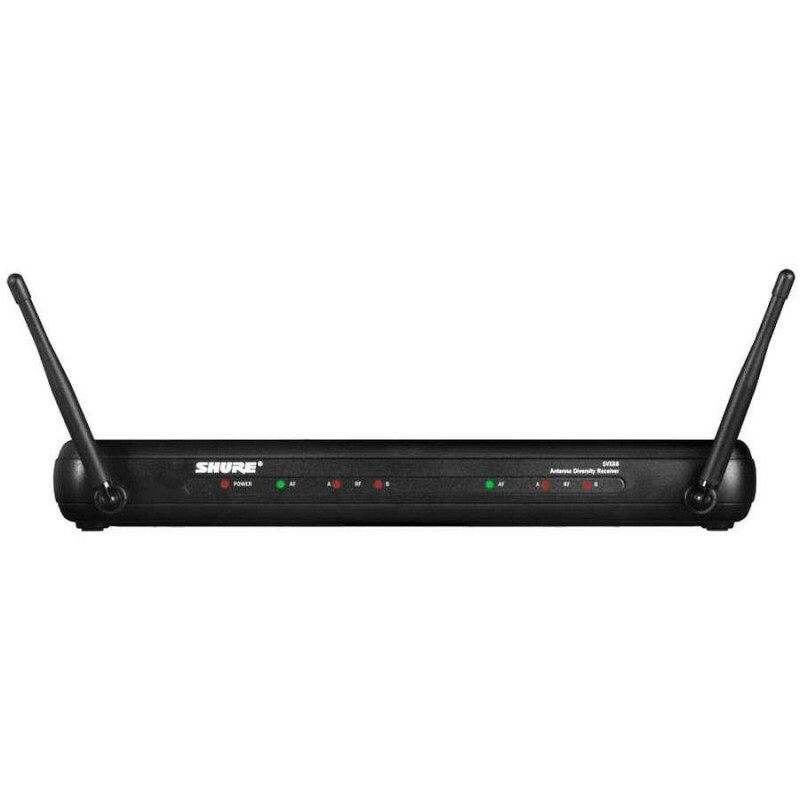 SVX88 dual diversity UHF receiver. Sennheiser E600 Drum Kit Microphone Set DetailsThe Sennheiser e 600 7-Piece Drum Microphone Kit contains all the essential pieces you will need to mic up a full drum kit professionally. The e 600 is perfect for live and studio applications and features an e602-II kick drum mic, 2 e614 condenser mics.. Audio Technica AE4100 Cardioid Dynamic Handheld MicrophoneAudio-Technica’s high-performance AE4100 cardioid dynamic vocal microphone delivers aggressive sound that stays up-front in the mix. 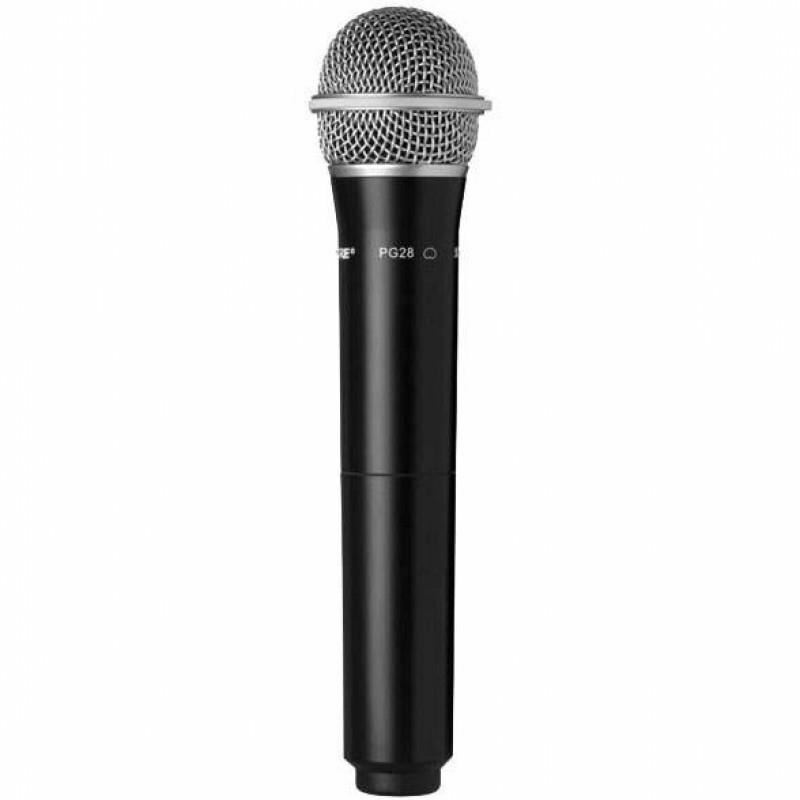 Optimized for the stage, the microphone features superior anti-shock engineering for minimum handling n..